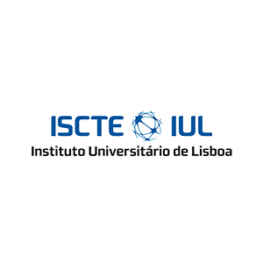 The programme is jointly developed by ISCTE – University Institute of Lisbon (ISCTE-IUL), University of Gothenburg (UGOT), University of Stavanger (UiS) and Makerere University (MU). MFAMILY is also proud of the active participation of 26 associate partners, 8 of which are higher education institutions from several continents. This gives the programme a truly global character, and a great potential to respond to needs in skills development, teaching, research and employability in the area of social work with children and families. Develop the students’ analytic expertise in relation to vulnerable children and the situation of marginalized families. Improve the students’ knowledge and skills in order to develop interventions that will protect, promote and fulfill children’s rights. Enable students to work effectively with vulnerable children and families in a changing global context, promoting the participation of children. Prepare students for a career in children and family social work in order to meet the demand of the labour market (governmental and nongovernmental organizations, international organizations and private practice) for expert knowledge in the best interest of children and families in need. Explore international perspectives on vulnerable children and marginalized families, including the different cultural contexts, beliefs and practices, legal and policy contexts and social problems. Introduce students to comparative research to critically assess the strengths and weaknesses in European and other international welfare models, recognising that interpretations and social work practices, and social policy vary in different parts of the world. Enable students to conduct independent research in intercultural contexts. a) Member countries of the European Union, plus Macedonia, Turkey, Iceland, Norway and Lichtenstein.